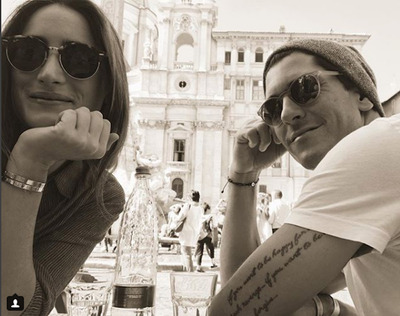 The only daughter and middle child of rock-and-roll legend Bruce and his wife Patti Scialfa – who are worth around $US75 million,according to Forbes – has been riding horses from an early age. Springsteen, her parents, her older brother Evan, and her younger brother Samuel moved from Los Angeles to New Jersey in the early 1990s. According to John D. Luerssen’s book “Bruce Springsteen FAQ: All That’s Left to Know about The Boss,” the couple wanted to give their kids “a more normal life experience” away from the paparazzi. The family of the future equestrian settled down on a 300-acre estate dubbed Stone Hill Farm in the appropriately-named Colts Neck Township, New Jersey. Springsteen got her first pony at the age of six, and the family kept horses, as well as goats, chickens, pigs, and two “violent” ostriches. 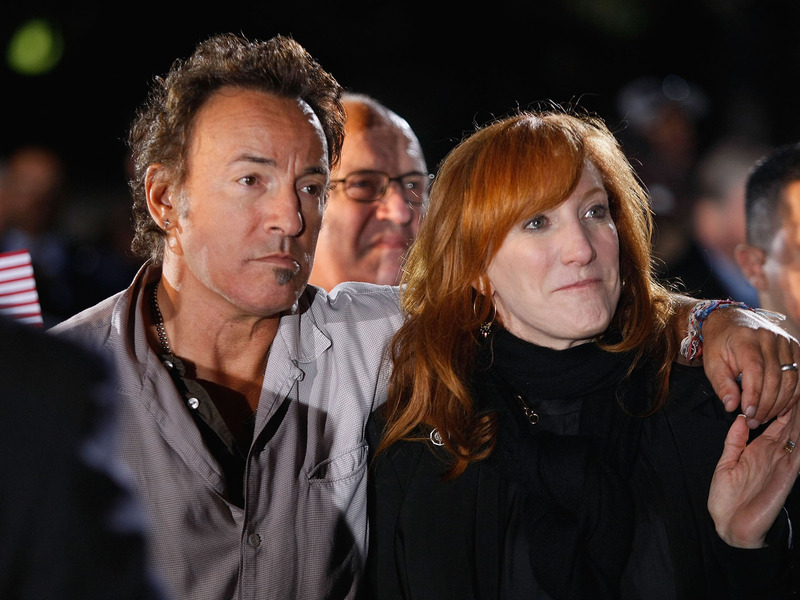 Springsteen’s mum Patti Scialfa had always had an interest in horseback riding. She began taking lessons, and so did 5-year-old Springsteen. 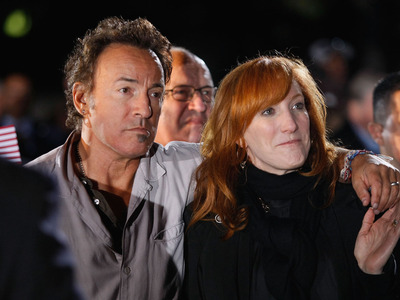 As a kid, Springsteen would sometimes tag along with her parents while they were on tour. Now, the roles have largely flipped. “I’m incredibly lucky to have had them supporting my career for so many years,” she told Noelle Floyd. Springsteen’s rocker father even purchased a house in Wellington, Florida — the equestrian capital of the US. The United States Equestrian Federation now ranks Springsteen as the ninth-best show jumper in the country. Since 2010, she’s won $US1,255,443 in prize money. 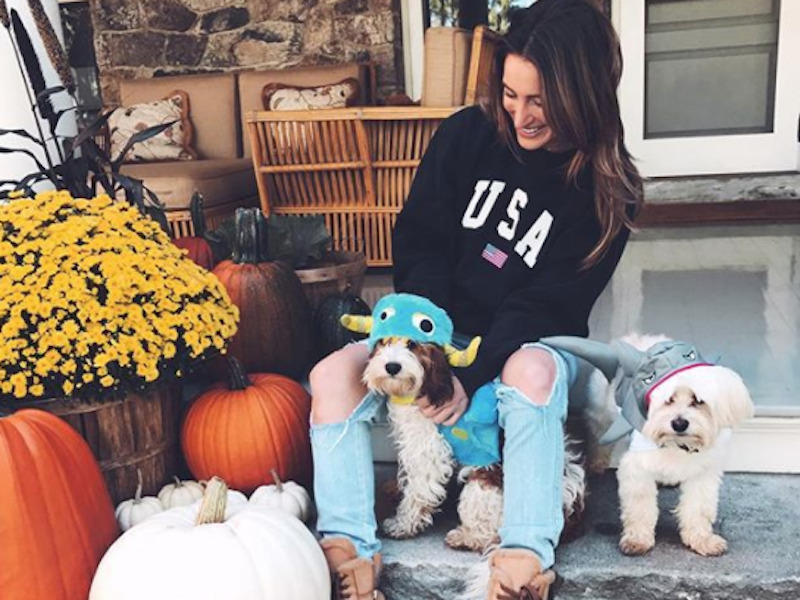 She also competes against other top show jumpers with famous connections, like Steve Jobs’ daughter Eve Jobs, Bill Gates’ daughter Jennifer, Michael Bloomberg’s daughter Georgina, and Steven Spielberg’s daughter Destry. Tommaso Boddi / Stringer / Getty Images, Dimitrios Kambouris / Getty ImagesEve Jobs, left, and Jennifer Gates, right. Springsteen’s best advice to young horseback riders is to not be “so hard on yourself.” “You have to be confident and you have to know that you can compete against the best of them,” she told Noelle Floyd. 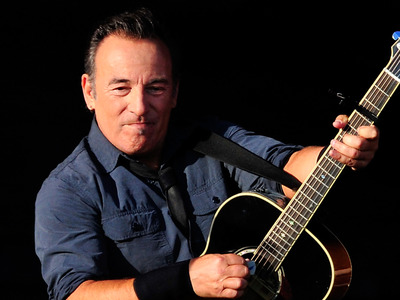 Springsteen’s career hasn’t solely been about horseback riding, though. 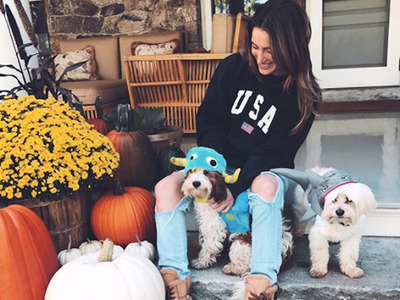 She’s been an ambassador for Gucci and Polo Ralph Lauren, too. So what’s next for Springsteen? In 2016, she told Equnews that her focus was on the 2020 Olympic Games in Tokyo.